Plus, contests for two council seats become crowded. Activist, organizer, actor, nonprofit leader, and radio host Cat Brooks announced today on the KPFA morning news radio show she co-hosts that she's decided to run for mayor of Oakland. "For the last six to twelve months, people from various sectors of the community — labor, grassroots activist, labor, pastors and other spiritual folks — have been suggesting I should consider a run for the mayor of Oakland," Brooks said during the live broadcast. "And I said, 'no, no, no.' And then I said, 'yes.'" Brooks joins an already crowded field of contenders. At least seven people have declared campaigns to run against incumbent Mayor Libby Schaaf. They include Ken Houston, Saied Karamooz, Kristina Molina, Nancy Sidebotham, Jesse A.J. Smith, Marchon Tatmon, and Cedric Troupe. Houston, Karamooz, and Sidebotham all ran for mayor in 2014, but none of them got more than 1 percent of the vote. Schaaf dominated the 2014 election by garnering 29.5 percent of the vote in the first ranked-choice runoff round and went on to win with 63.2 percent of the vote. Oakland's At-Large Councilmember Rebecca Kaplan came in second with 36.8 percent. 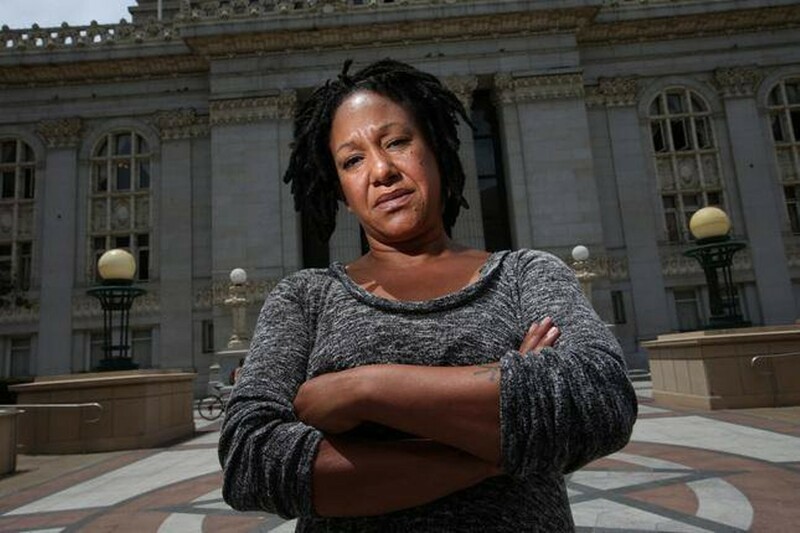 Although she's never held elected office, Brooks is well-known in Oakland as a cofounder of the Anti Police-Terror Project. She's also led the National Lawyers Guild San Francisco Bay Area Chapter and other nonprofits, while starring in theatrical productions. A West Oakland resident, she said her campaign will focus on organizing voters who traditionally haven't been mobilized to the polls. "It’s not to make a point," said Brooks on her last day as co-host of KPFA's UpFront morning news show. "It’s to organize the masses of Oakland who can’t afford to purchase power in city hall." Oakland Mayor Libby Schaaf has presided over a turbulent four years. The city's economy is booming with job growth and new construction, including a record number of housing units. Schaaf has also become an outspoken counterforce against the Trump administration's xenophobic policies. But at the same time, the number of homeless people on Oakland's streets has dramatically increased. Schaaf has also been forced to deal with two major crises: the Oakland Police Department's 2016 sexual exploitation scandal and meltdown, and the deadly Ghost Ship fire and San Pablo fire, which killed a combined 40 people and exposed the city's disorganized fire and code enforcement systems. Elections are also being held for three of Oakland's city council seats this year. District 4 incumbent Annie Campbell Washington surprised many by deciding recently not to run for re-election for city council, creating a rare opening. Campbell Washington is leaving government to start a new job as the assistant dean of the MPA program at UC Berkeley's Goldman School of Public Policy. Campbell Washington, however, said her decision was due to the city's "toxic" political environment. Five candidates have already filed to run for the D4 seat. They include Pamela Harris, Nayeli Maxson, Jonathan Selsley, Joseph Tanios, and Sheng Thao. And in D6, four challengers are running in an attempt to displace longtime Councilmember Desley Brooks. Desley Brooks has been criticized by many elected officials and the media for pushing former Black Panther Elaine Brown in a 2015 restaurant altercation. Brown sued the city and won a $3.75 million settlement, but a judge reduced the settlement earlier this month to $1.2 million and said the jury's decision was "excessive." Brooks has denied wrongdoing and alleged that Brown started the fight by poking at her and threatening her. Schaaf, who has made no secret of her desire to push Brooks off the city council, has endorsed Loren Taylor for the district seat. Campbell Washington, who has also repeatedly clashed with Brooks, has endorsed Natasha Middleton. The two other candidates vying for the D6 seat are Maria Rodriguez and Mya Whitaker.